The first of a couple of posts from a shoot that I did on 3/24 for some friends. 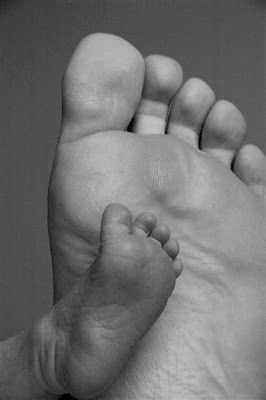 Daddy's foot next to son's. There might be some cropping and sharpening in this one with NX. I can't think of a better way to show size and context for an infant.